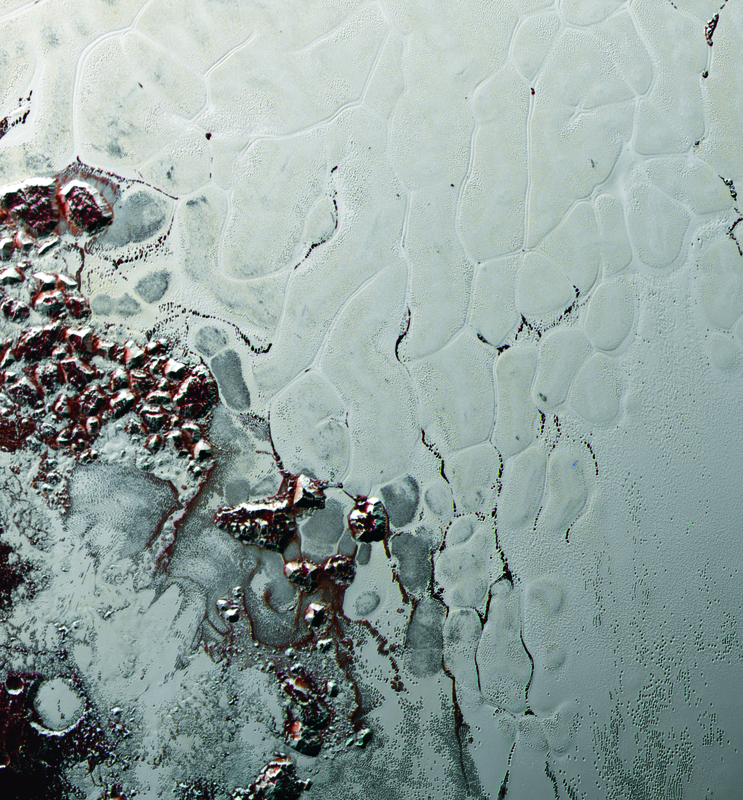 June 1, 2016 – Like a cosmic lava lamp, a large section of Pluto’s icy surface is being constantly renewed by a process called convection that replace older surface ices with fresher material. New Horizons could also potentially take a close-up look at a smaller, more ancient object much farther out in the Kuiper Belt – the disk-shaped region beyond the orbit of Neptune believed to contain comets, asteroids and other small, icy bodies. New Horizons flew through the Pluto system on July 14, 2015, making the first close observations of Pluto and its family of five moons. The spacecraft is on course for an ultra-close flyby of another Kuiper Belt object, 2014 MU69, on January 1, 2019, pending NASA approval of funding for an extended mission.